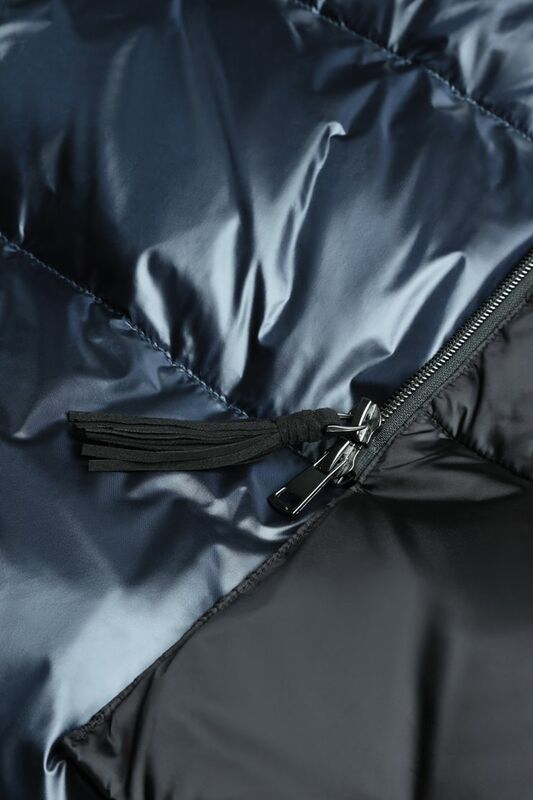 Jade black double-breasted coat stands out thanks to the contrast between the black outside fabric and the navy blue lining. This style provides you extra protection against rain and wind: if you do not want to wear the comfortable hood, the collar protects you from cold air. 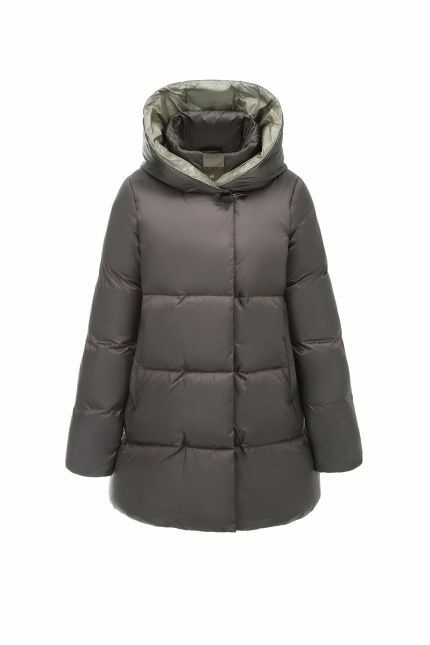 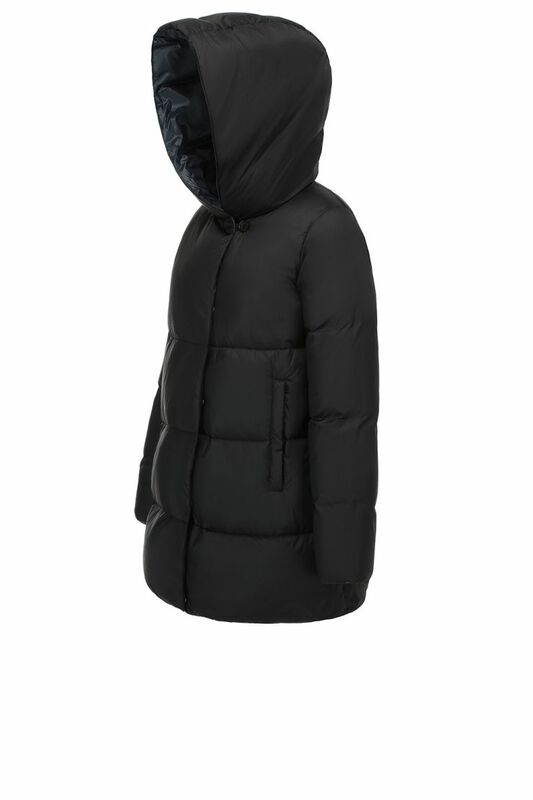 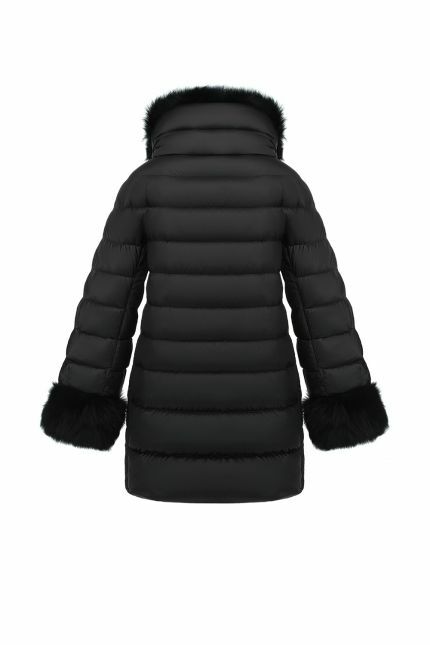 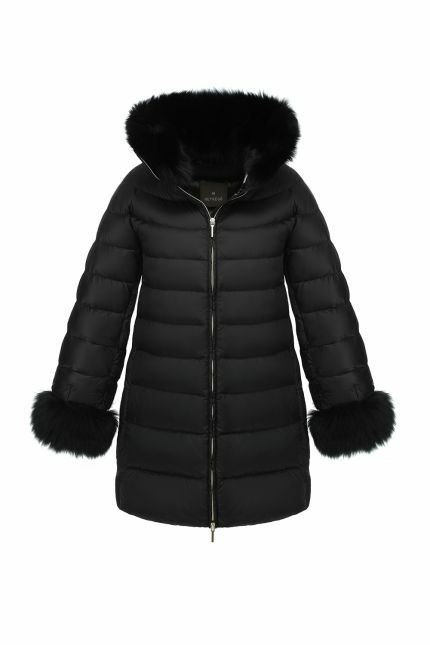 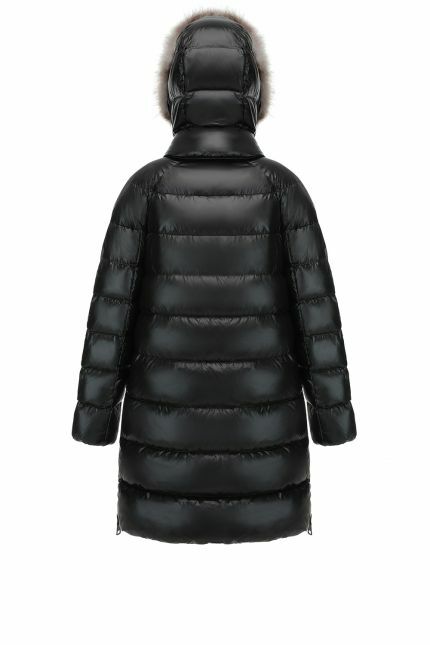 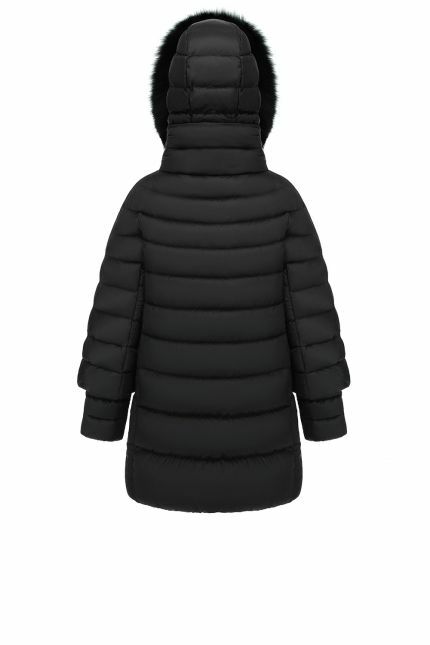 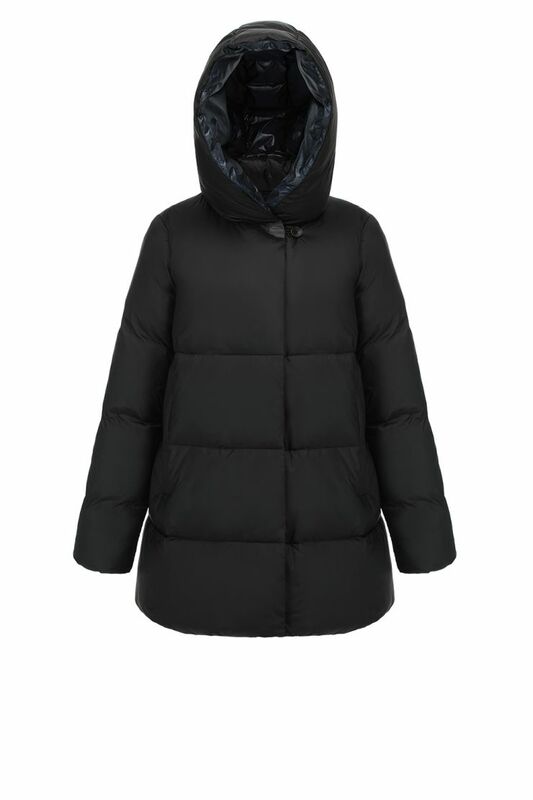 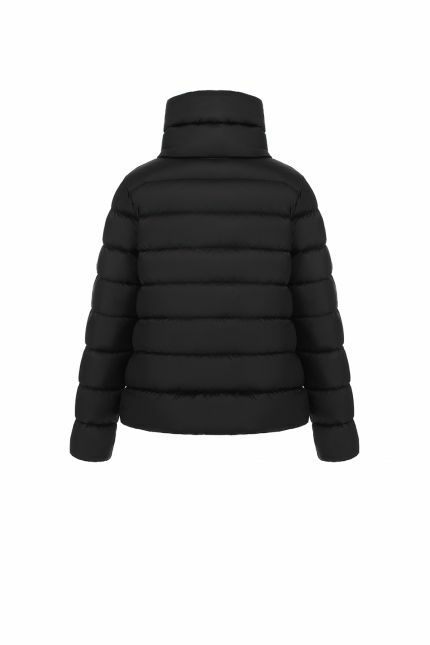 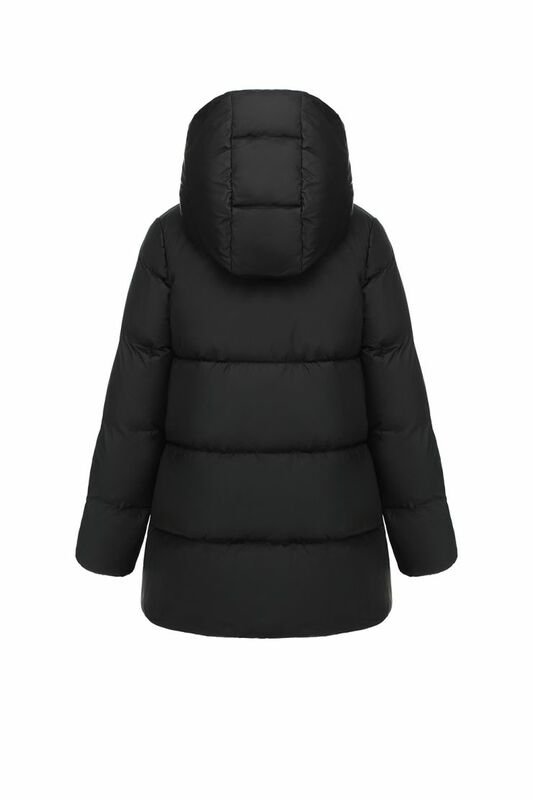 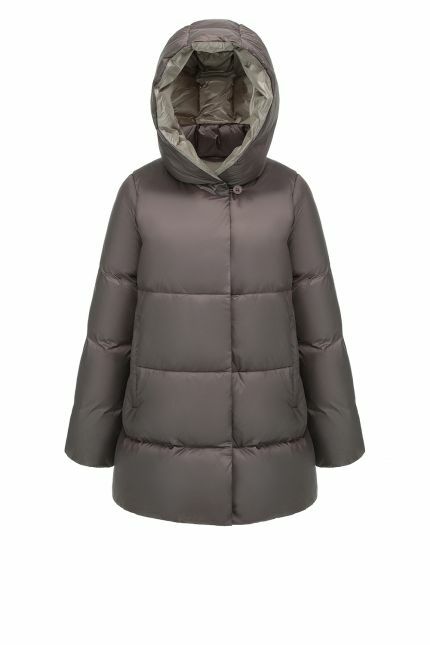 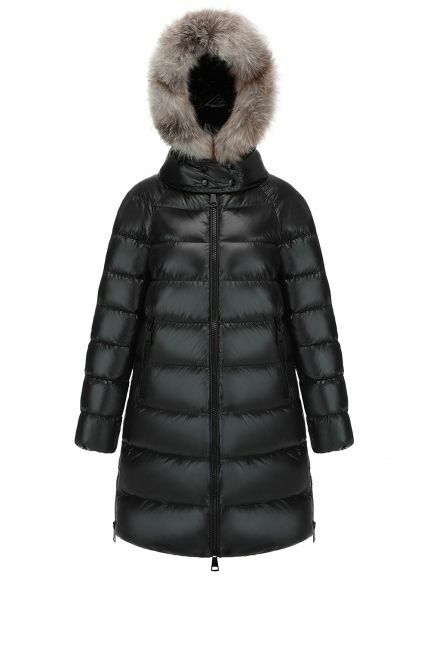 Perfect for cold winters, this coat is padded in goose down and features hidden snap closures over 2-way zipper and side flap pockets. 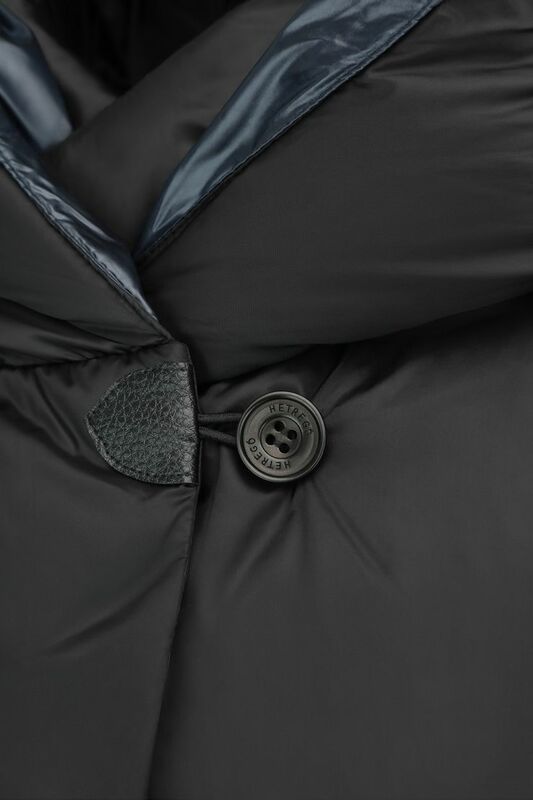 Luxurious finishes, as frog fastening and leather puller, give an added precious touch to this water repellent and windproof down coat.